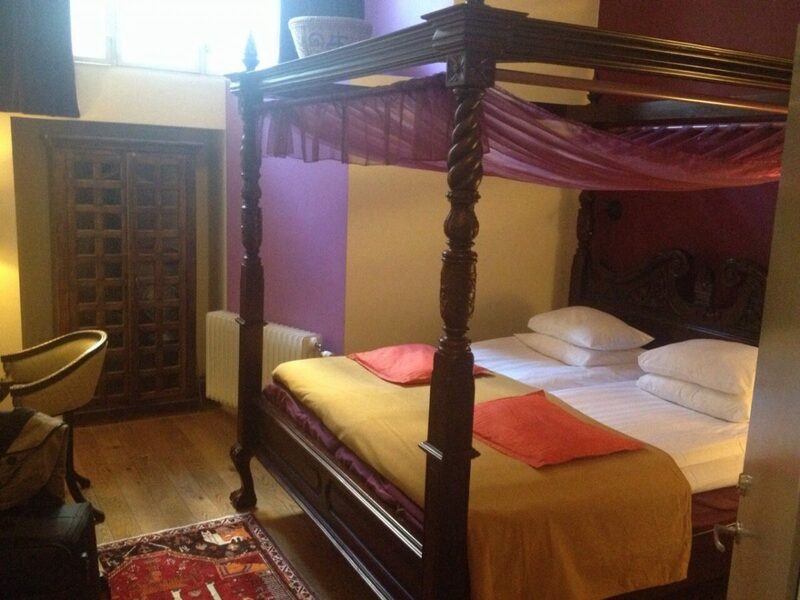 Choosing a suitable hotel before a trip is always a delicate moment. 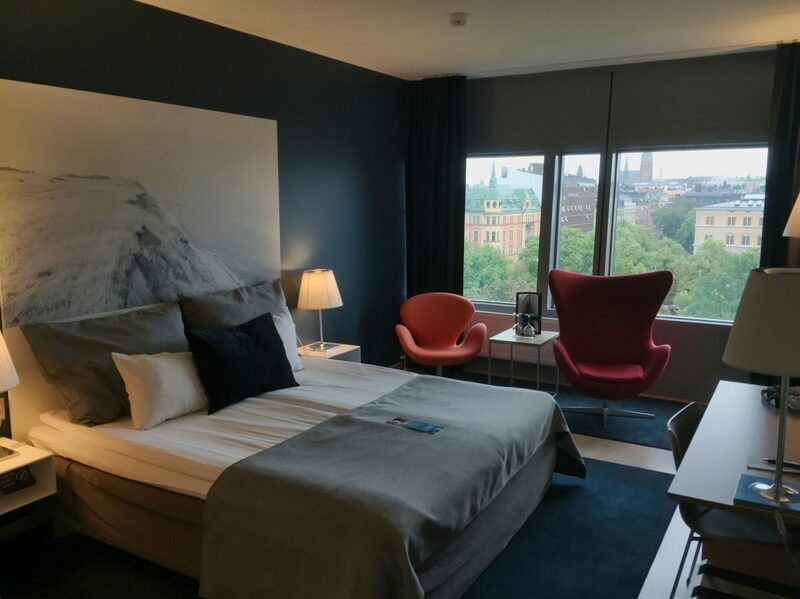 I want to share with you this list with 5 of my favorite hotels in Stockholm which are the best I’ve stayed at during the years I’ve been traveling to Sweden and Stockholm. In the end I added another one that has recently entered the list. 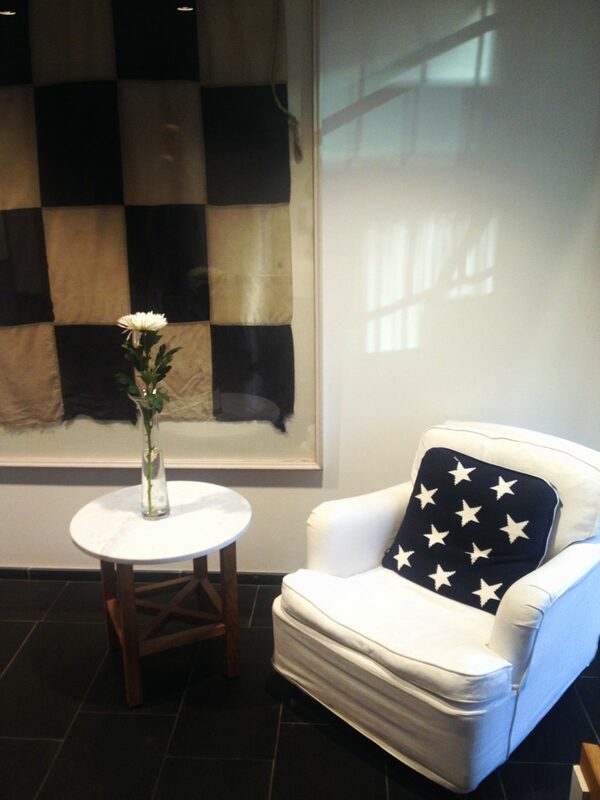 Each of these hotels in Stockholm has particularities that make it more suitable for one type of traveler or another. So I hope you all will find something for you in this list. The following numbered list does not express my order of preference but simply helps me to place them on the map above. 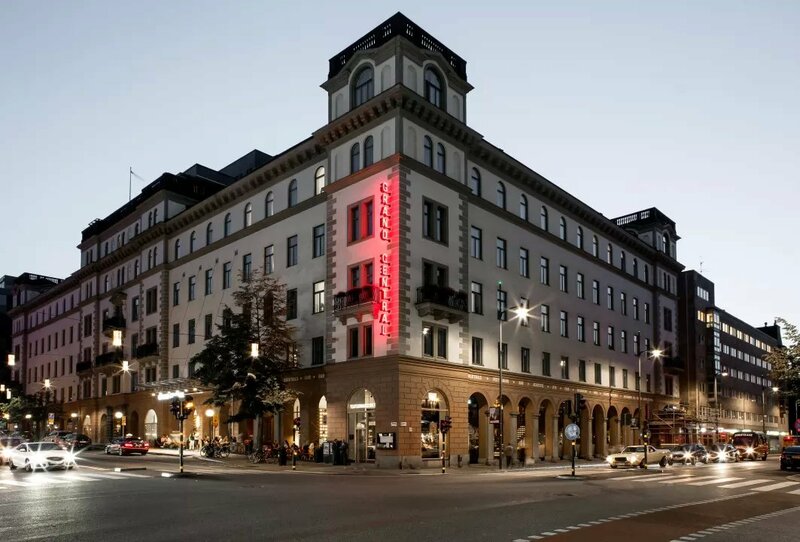 The Scandic Grand Central Hotel is located in a central location (Kungsgatan with Vasagatan) a 5-minute walk from the T-Centralen metro station and 7 minutes away from the railway station. I visited this hotel when it was still under construction a few years ago and they explained us the idea of making it a “meeting point” for Stockholmers. I can attest that they have achieved it. Evenings with music, people who come to the hotel bar just for a drink and a super nice atmosphere that since its union with the Vasateatern consolidate it as a place for musical and theatrical events. The thing is that if you get bored in your room there is always some event going on downstairs in Grand Central. 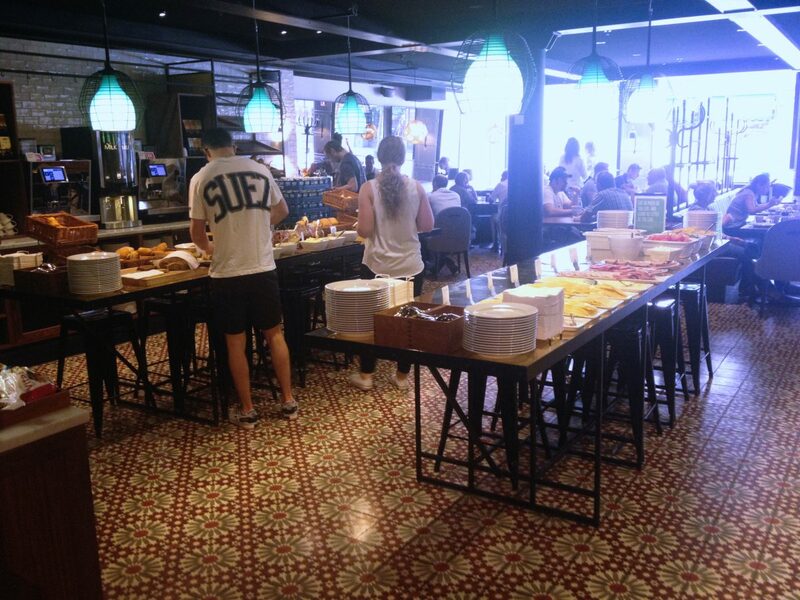 Another thing that makes me recommend you the Scandic Grand Central (and by the way any other Scandic hotel) is for the super nice breakfasts served with a smörgårbord full of all kinds of Swedish and international products. Eating Swedish meatballs and prinskorv sausages first thing in the morning seems to be a success. 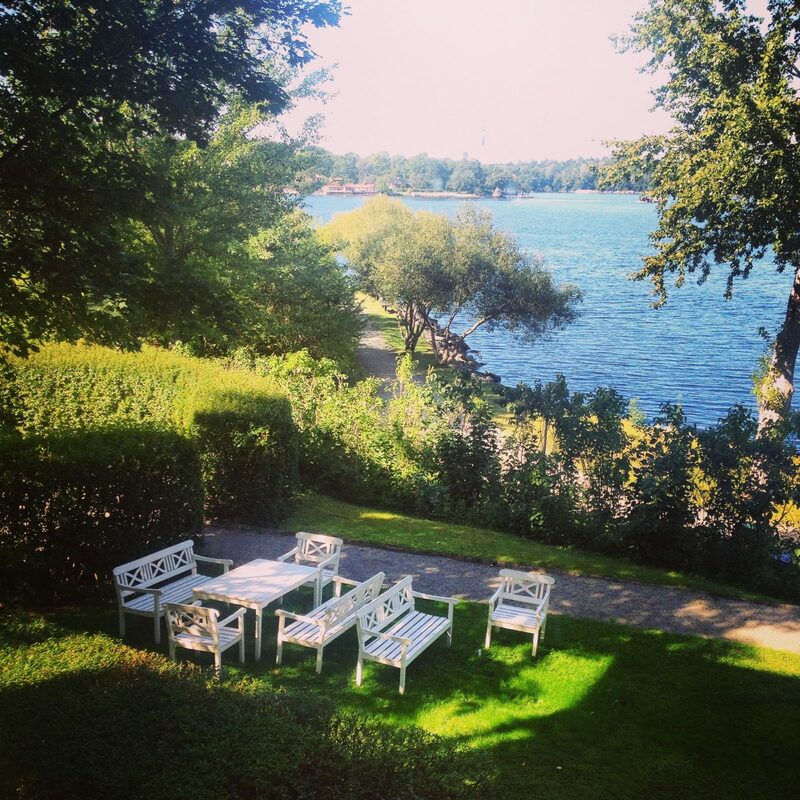 Located on the island of Skeppsholmen in the vicinity of the Museum of Modern Arts, Moderna Museet, the Museum of Architecture and Design, ArkDes, and the Östasiatiska Museet, Skeppsholmen hotel has all the charm of its location next to a garden facing the sea and being away from the worldly noise. You get there by walking across the Skeppholmensbron Bridge (the famous one with the crowns on its railings), or by bus nr. 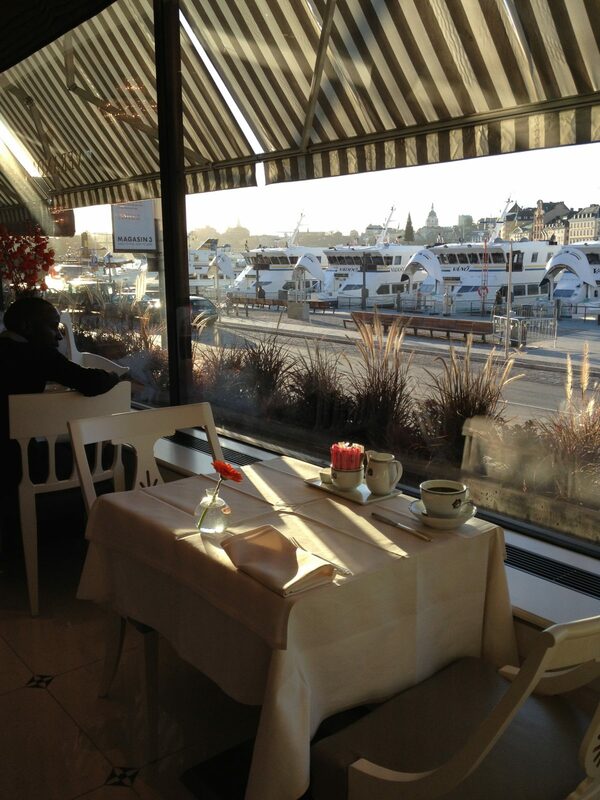 65 in 10 minutes from T-Centralen station or by boat in 10 minutes from Slussen. 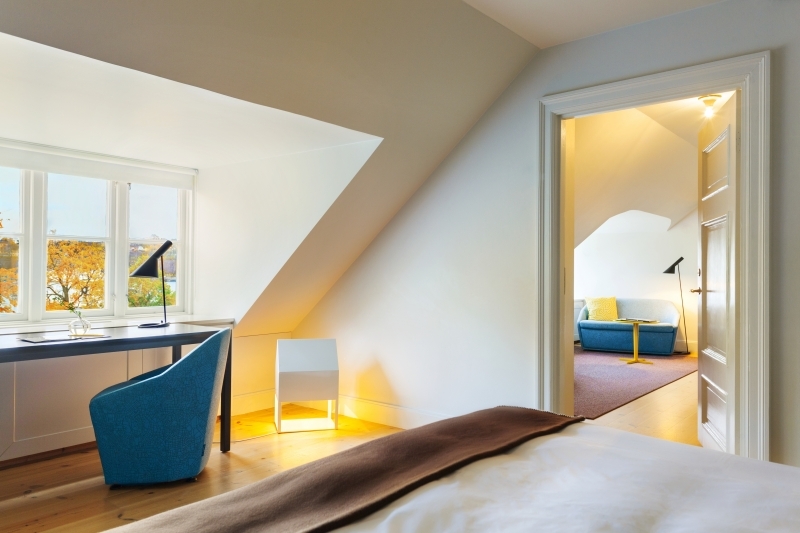 Hotel Skeppsholmen is housed in an old building over 300 years old but with an interior decorated by famous Stockholm designers Claesson Koivisto Rune. The hotel has been awarded an ecological certification which you will notice in every little detail. 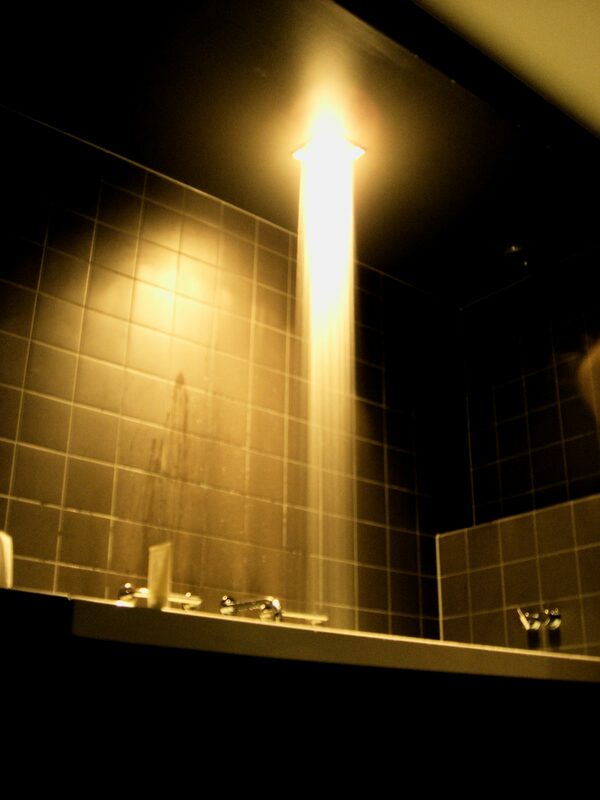 that you will appreciate in every detail. 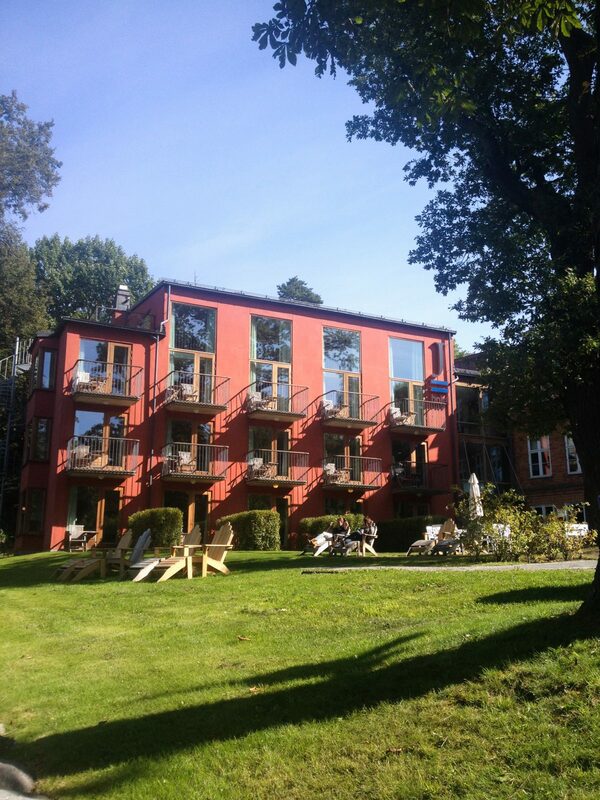 Hotel J is a 4 * hotel in a sailor and newport style located on the outskirts of Stockholm in the municipality of Nacka. From here you will have beautiful views of the entrance of Stockholm by the sea and you will be able to see the ferries that leave for Finland. 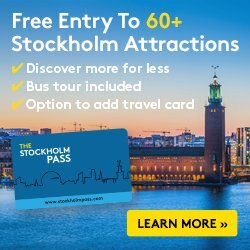 You can get to Hotel J by boat (it takes about 20 minutes from Slussen or Nybrokajen to Nacka Strand stop) or by bus (with bus nr. 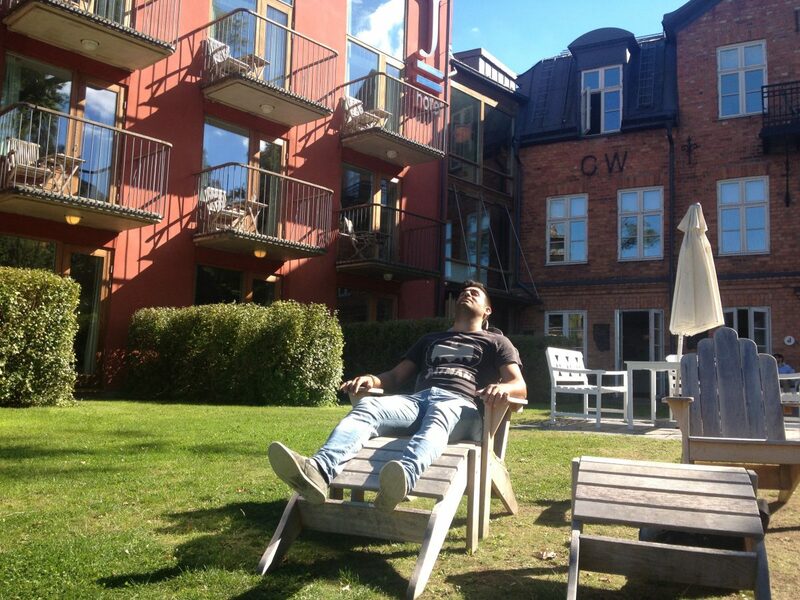 443 from T-Centralen to Nacka Strand it takes about 10-17 minutes) or by car in case you are renting. When staying at Hotel J you can also take the chance and visit the Fjäderholmarna Islands as the boats that go to them stop near the hotel. One of the things that I loved the most about Hotel J is the closeness to nature. You go out to the terrace in your room and the trees are almost at the touch of your hand. If you are into sports you will love running and walking around in the woods. I need also to confess that as I love newport style – the one with stars and in blue, red and white colors (kind of American) I felt at home at Hotel J.
I specially recommend recommend Hotel J for couples looking to relax, do not have the need to see “everything” in Stockholm – and thus can enjoy the hotel – and also are adventurers that don’t mind traveling to the outskirts. It is worth! I mean it. 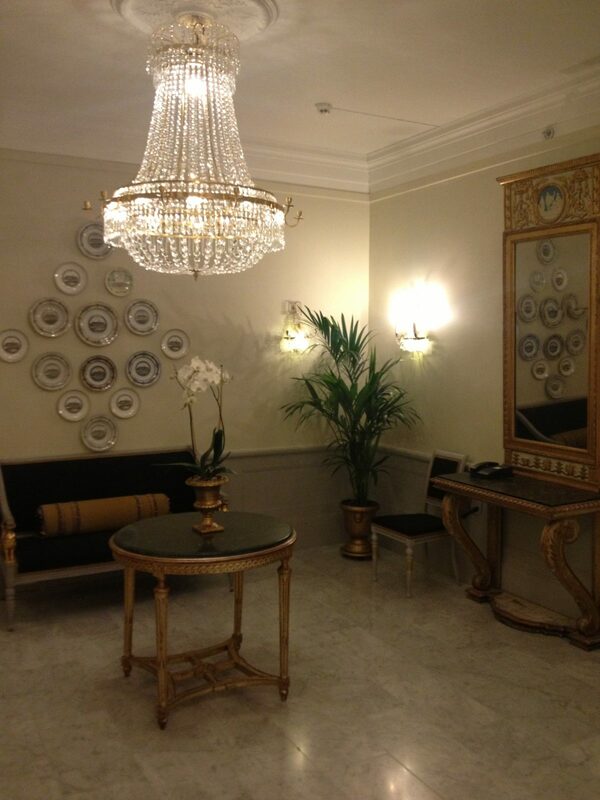 If you are looking for a luxury hotel in Stockholm then your choice must be Grand Hotel Stockholm. 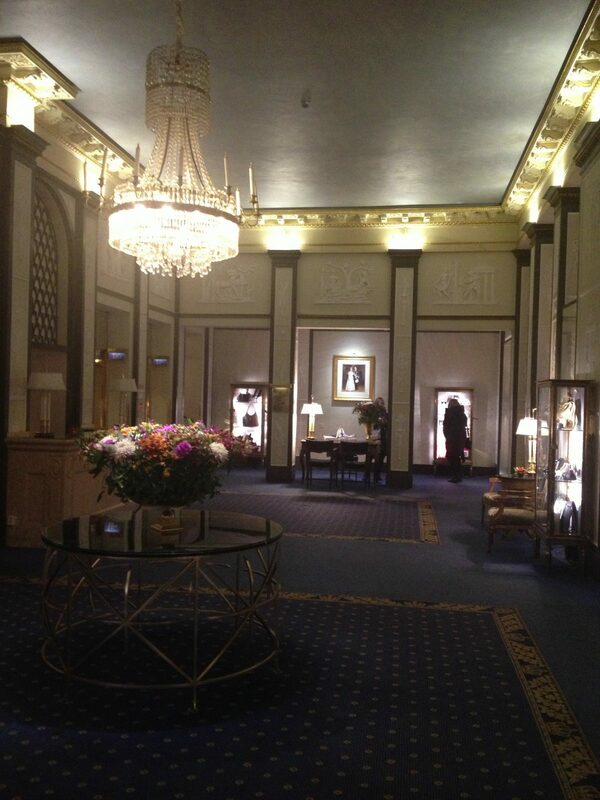 The Grand Hotel is a 5* hotel where luxury is all around you. 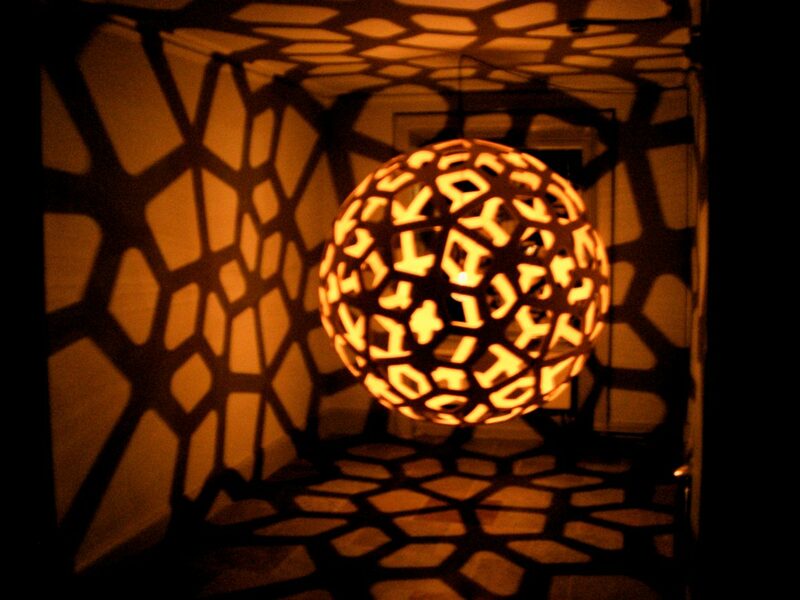 Chandeliers on the ceilings, carpets and antique decoration objects, china, you name it. If you want to enjoy high-level cuisine Matbaren by Mathias Dahlgren – one of the restaurants awarded with a Michelin star – is located in the same hotel. 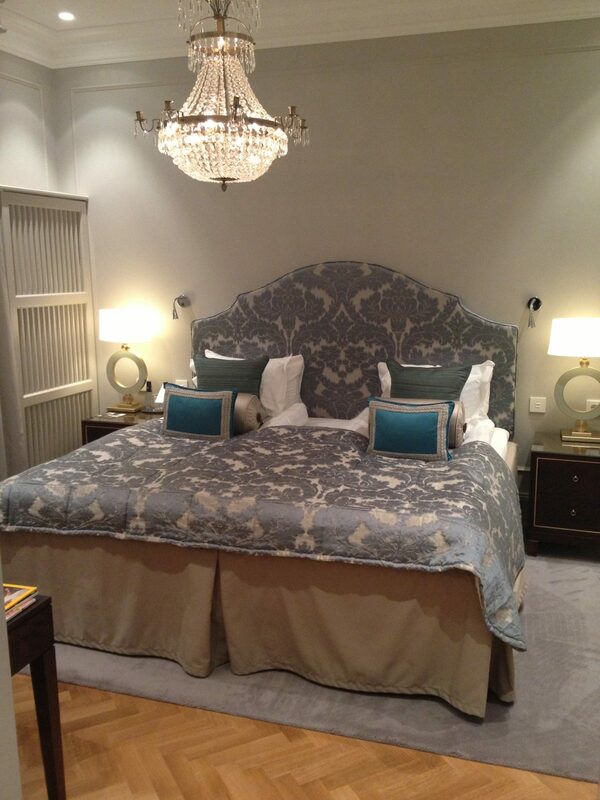 Rooms at Grand Hotel Stockholm are also spectacular. You have the feeling of being inside a movie (and old one obviously). 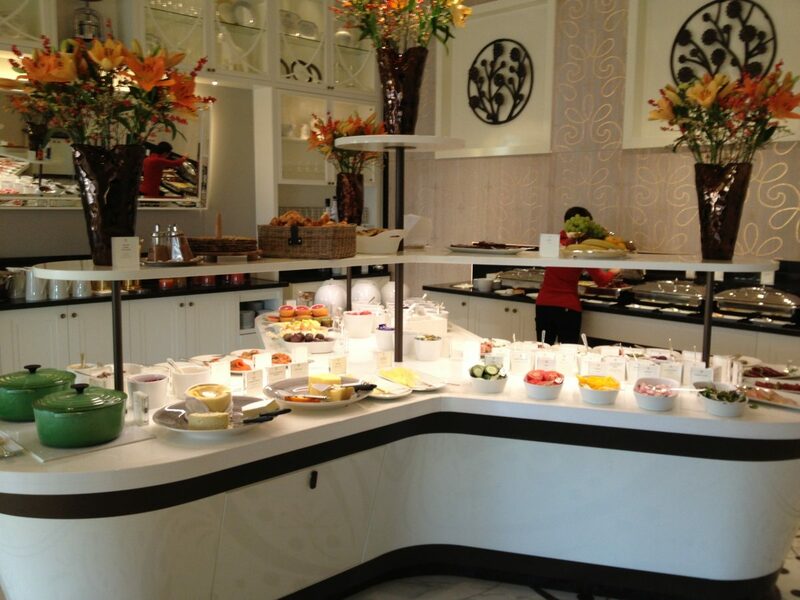 Breakfast at Verandan is just incredible as you would imagine in a 5-starred hotel and offers more than 120 small dishes to taste and start your day in the best way possible. And on top of that, if you are lucky enough to wake up to a sunny day you will enjoy your breakfast with the first rays that enter through the window of this porch called Verandan. 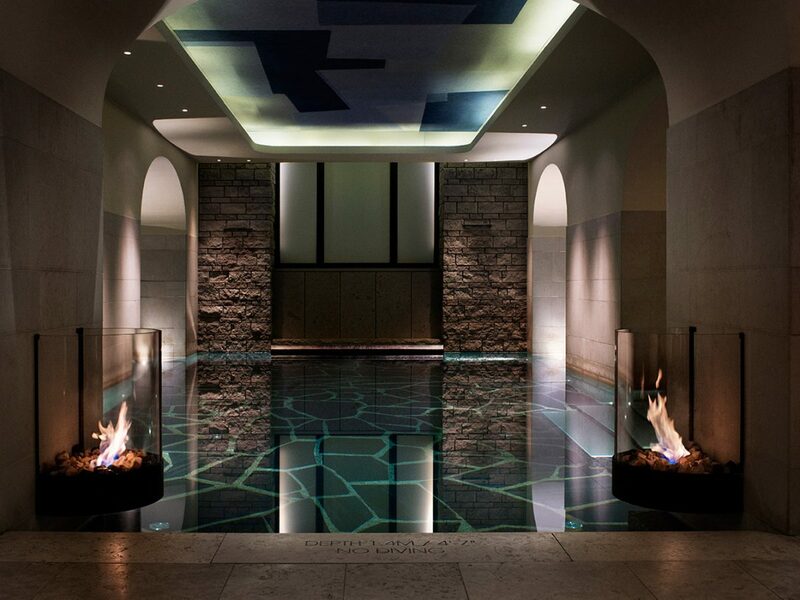 Something you don’t really want to miss at Grand Hotel is its amazing Spa. 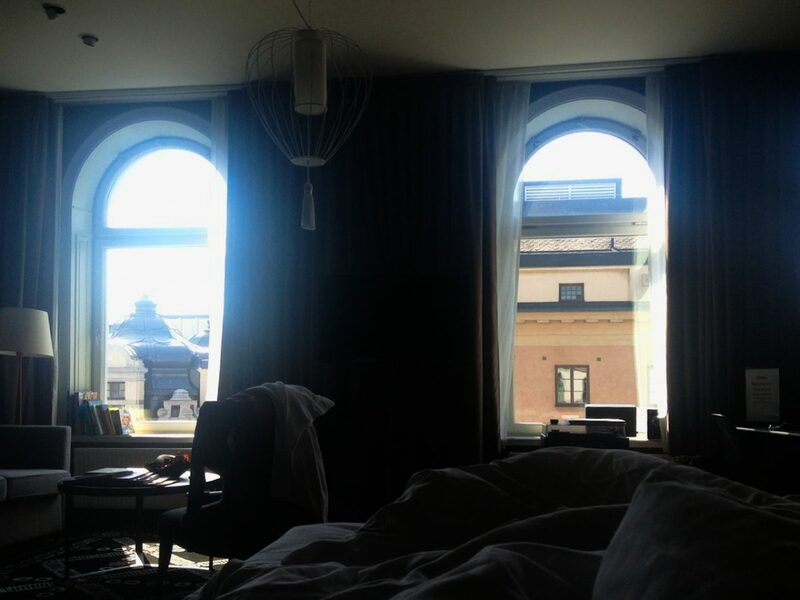 Hellsten hotel is a 4-star hotel in Stockholm in which I have stayed many times. 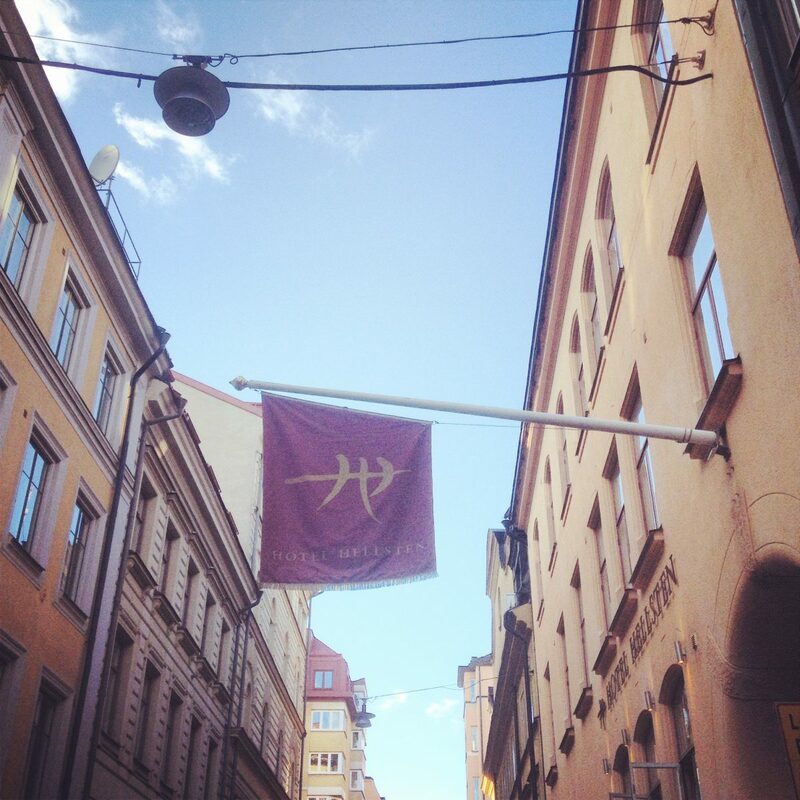 It is located near the Rådmansgatan metro stop next to Sveavägen street. 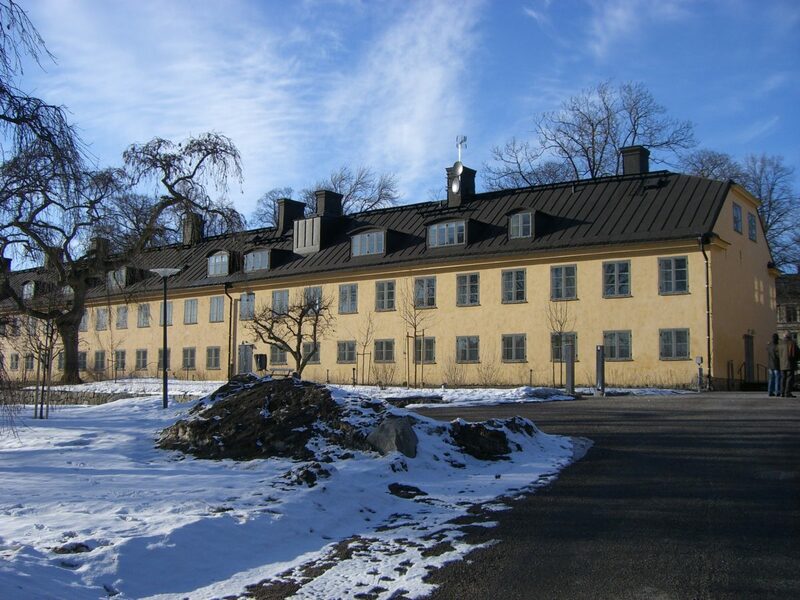 It is a practical hotel because of its location because if you have the Stockholm Pass tourist card with the added public transport included you can easily get anywhere on the metro. 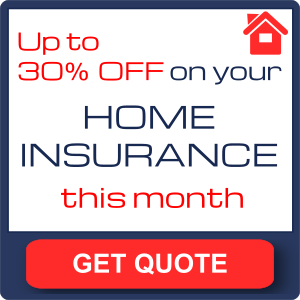 It is also quite affordable compared to others. 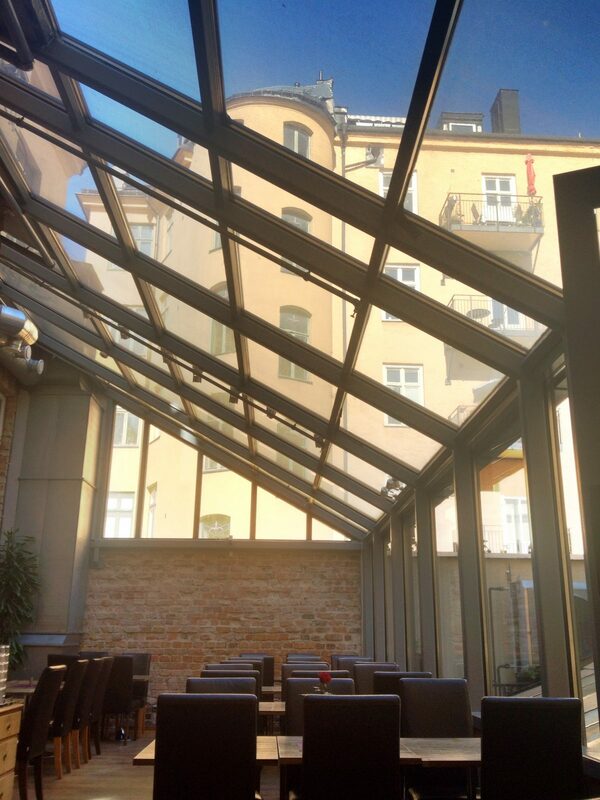 One of the things I like about the Hellsten hotel is its breakfast that takes place in the inner courtyard of the block of buildings. A unique touch. Of course, breakfast is also exceptionally good. Then they also have these funny things. If you happened to forget your reading glasses there are some pairs by the breakfast table waiting for you to borrow them so you can enjoy your favorite newspaper while enjoying your morning coffee. 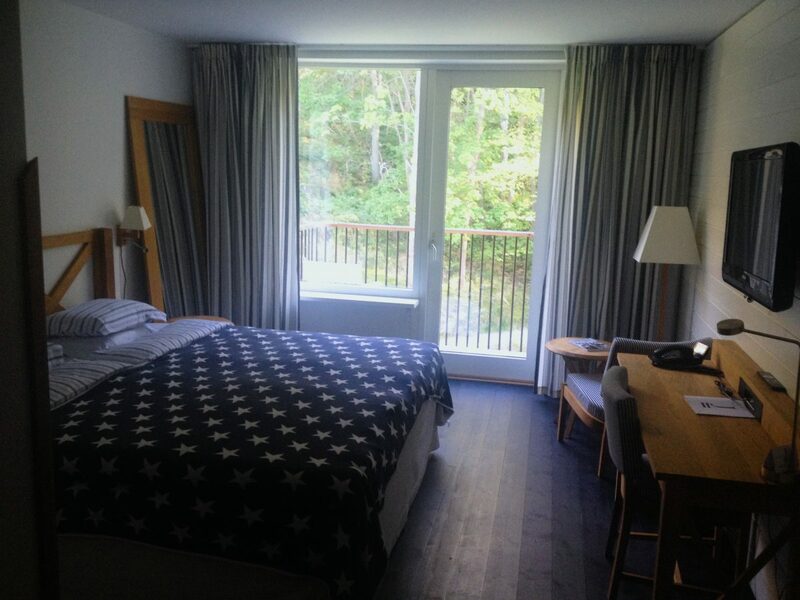 You find different types of rooms at Hellsten hotel depending on the floor where you stay. 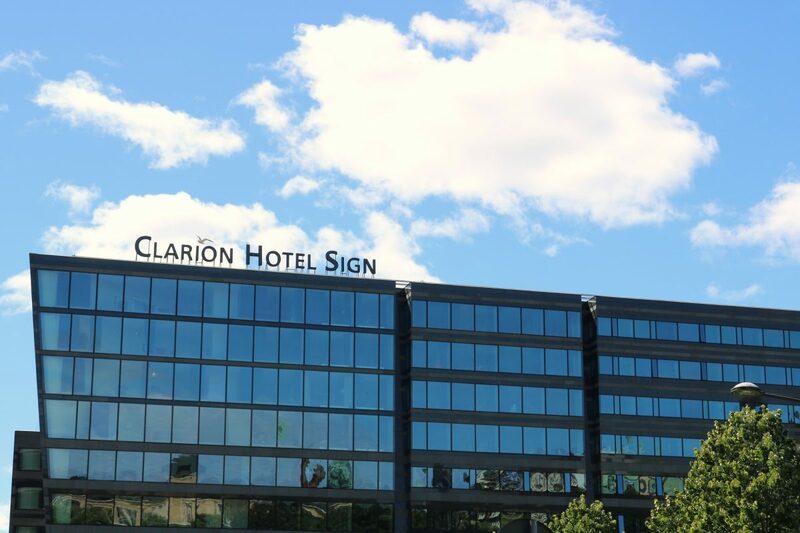 Recently during our month-long trip through Sweden we were able to sleep at Clarion Sign Hotel and give my opinion about this 4-star downtown hotel. Both me and my wife loved it. 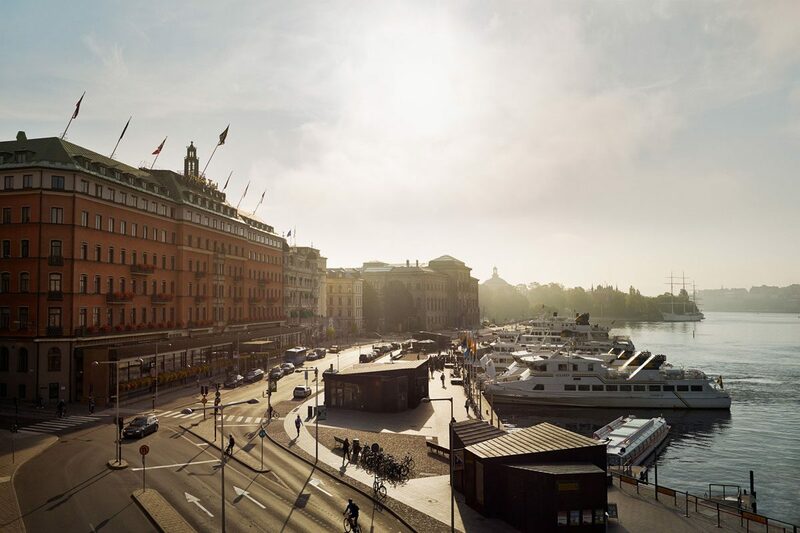 The atmosphere inside, the good location a few minutes away from the metro and downtown, its breakfast and the rooms – some of them with great views of Stockholm – are some of the things that we liked the most. 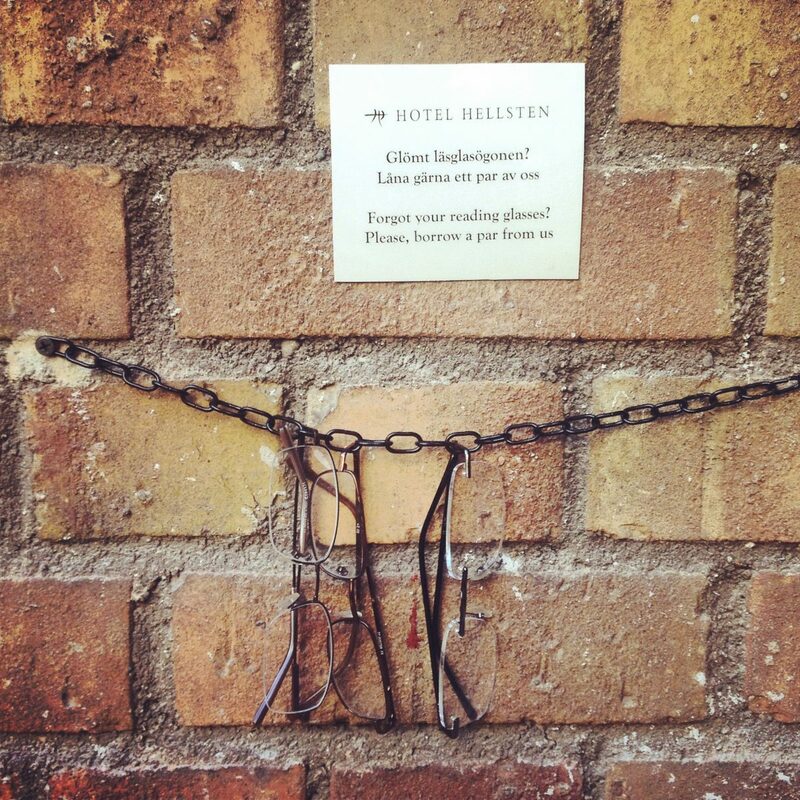 You can read my review of Clarion Hotel Sign here. 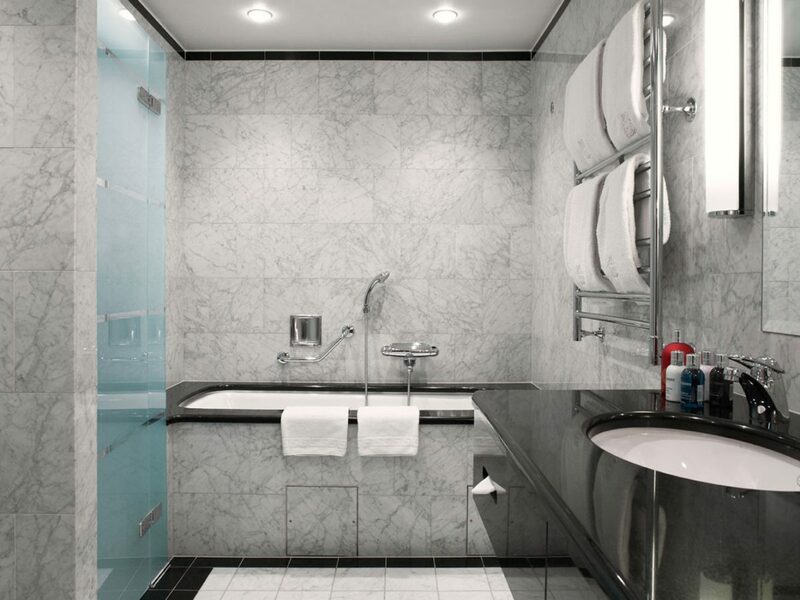 I can recommed Clarion Hotel Sign for young couples traveling for pleasure or relaxation looking for an international environment, for digital travelers and for families with children or teenagers. Check the prices here. 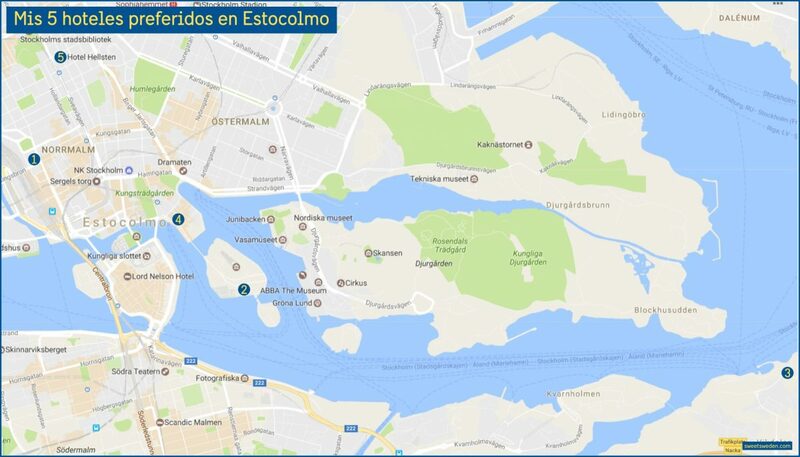 You can read here about Stockholm Most Booked Hotels or use this Booking map to check price and location and book other hotels in Stockholm. 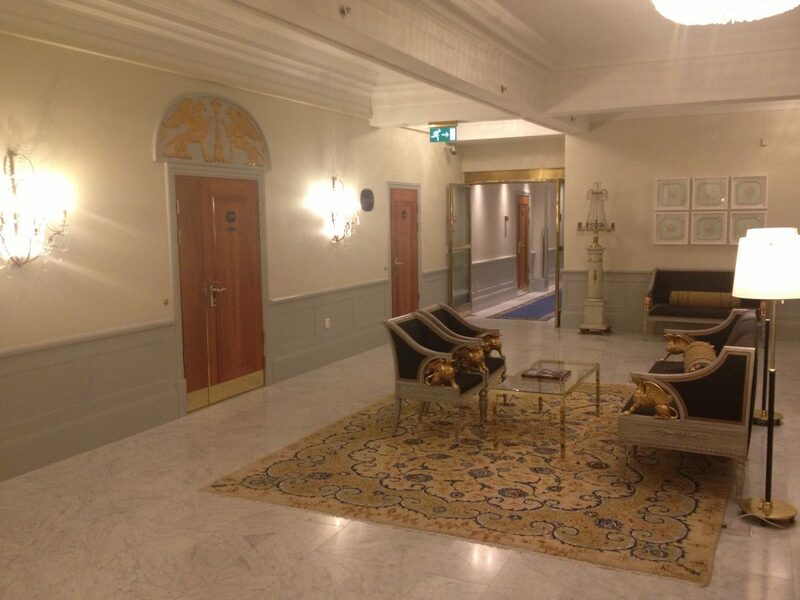 These are some of the hotels that I have enjoyed in Stockholm both as a tourist and traveling for business. 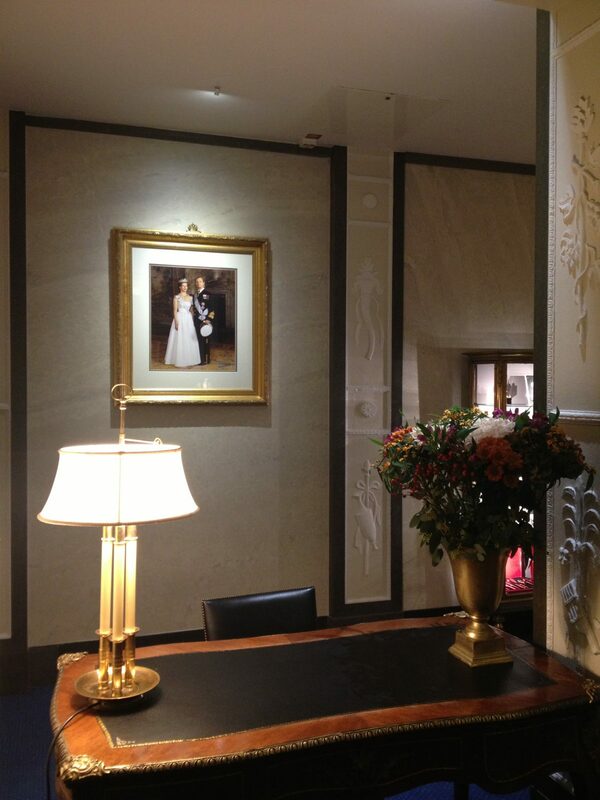 Over the years I have visited many other hotels which I will write about in a later entry. If you would like to know my opinion a particular hotel leave me a comment and if you are lucky and I have already stayed there I will tell you what I think about it.